At the Augusta Museum of History we set a standard of care for our artifacts and archival material. We place them in the best environment, the safest boxes and folders and touch them as little as possible. We have often stressed the importance of placing your fragile photographs and documents in a cool, dry environment, free from dust and light. However, this makes it difficult to enjoy your family photographs or to research your old documents. Nevertheless, it is important to remember that with fragile documents and photographs, the less you handle them the longer they will last. It is a simple fact that every time you handle your items, even if they are encased in polyester sleeves or acid free folders and even if you always wear gloves, some amount of damage is unavoidable. The Augusta Museum of History solves this problem by handling fragile documents, photographs and negatives as little as possible. A huge help to this goal is the continuing advances of digital scanning technology. Today digital scans can prevent damage being done to the items we wish to preserve the longest. It will also preserve material that will eventually deteriorate and disappear. 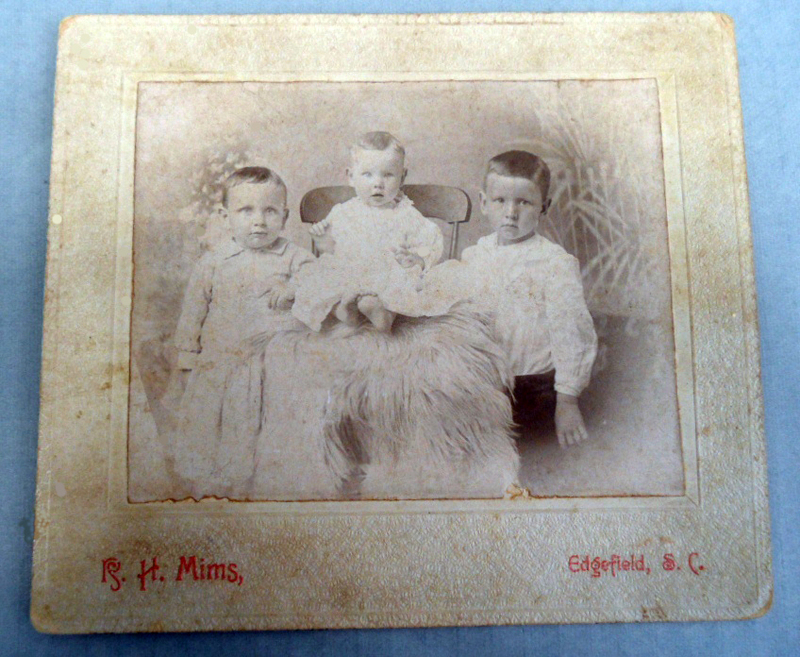 It is very simple to digitally scan your old family photos. 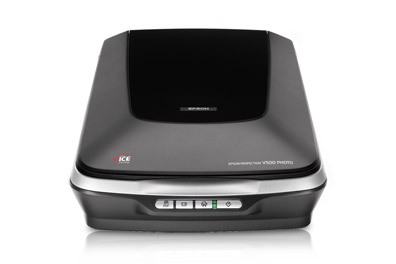 Many computer companies offer relatively inexpensive digital scanners that are simple to use. 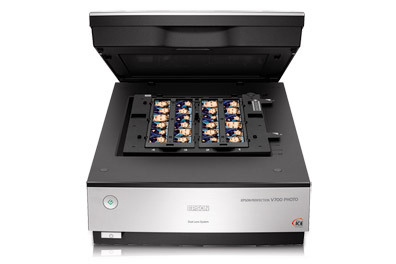 These machines read the image and copy it to a digital file onto your computer. These files can be sent to family members via e-mail or CD, or printed and displayed. By displaying a printed digital copy of a photograph and storing the original you are prolonging the life of the original print. To scan a photo for reproduction, set the scanner to 300-600 dpi (dots per inch), which is a high resolution image. The higher the dpi, the higher the resolution of the image and the larger you can blow it up without it getting blurry. The Augusta Museum of History usually scans images into a .jpg format, for easy editing and printing. After the image is scanned, place the original photograph in an acid free envelope or folder or a polyester photo sleeve. For fragile documents the steps for scanning are very similar to those for photographs. Scan documents between 300-600 dpi and either print copies or use digital images on the computer for research. Using copies of documents for research or display prolongs the life of the originals while preserving the information on them for research purposes. The Augusta Museum of History scans documents between 300-600 dpi and uses digital images for references purposes. We also make copies of fragile documents for researchers. After scanning a document, store it flat in an acid free folder or envelope away from dust and light. Books and oversize documents provide special concerns when scanning. Books can be scanned face-down on a scanning bed but it is important not to press too hard on the book and break the spine. It is sometimes easier to use a Wand type scanner. These are handheld and work by dragging the scanner across a book or document to scan it. These are generally safe for the book as long as you remember not to press too hard on the spine and scan one page at a time. For oversize documents, there are fewer options. If the document is in very good condition it can be fed through a supersize rolling scanner. 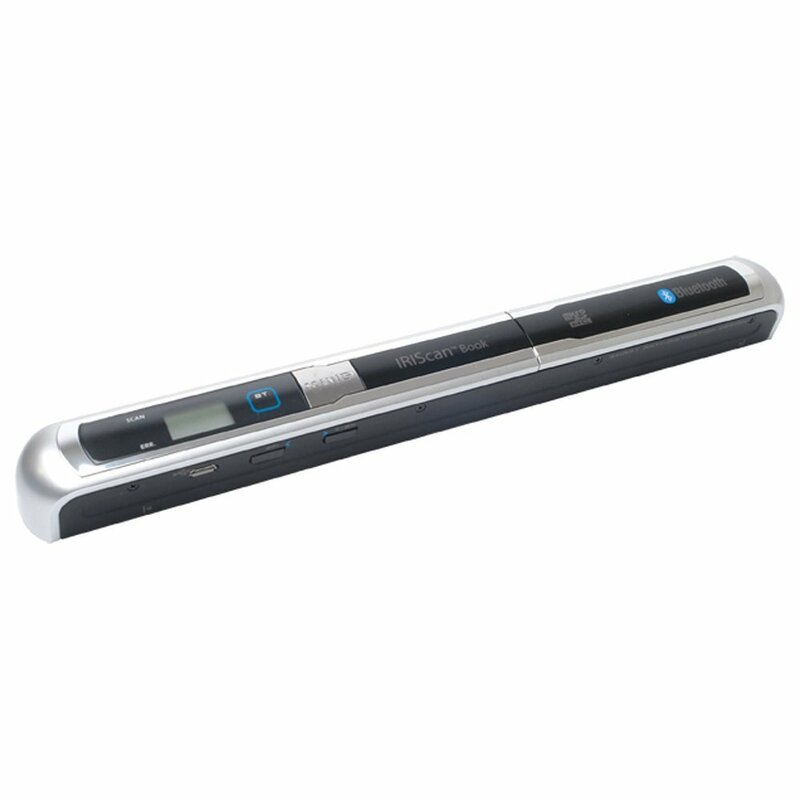 These scanners are often found in blueprint shops and occasionally in a copy shop, if they have large equipment. These scanners are good for posters, maps, blueprints and newspapers. The Augusta Museum of History was fortunate enough to receive grant funding to purchase one of these large scanners from the Community Foundation of the CSRA. We have been able to digitize maps, posters and newspapers. 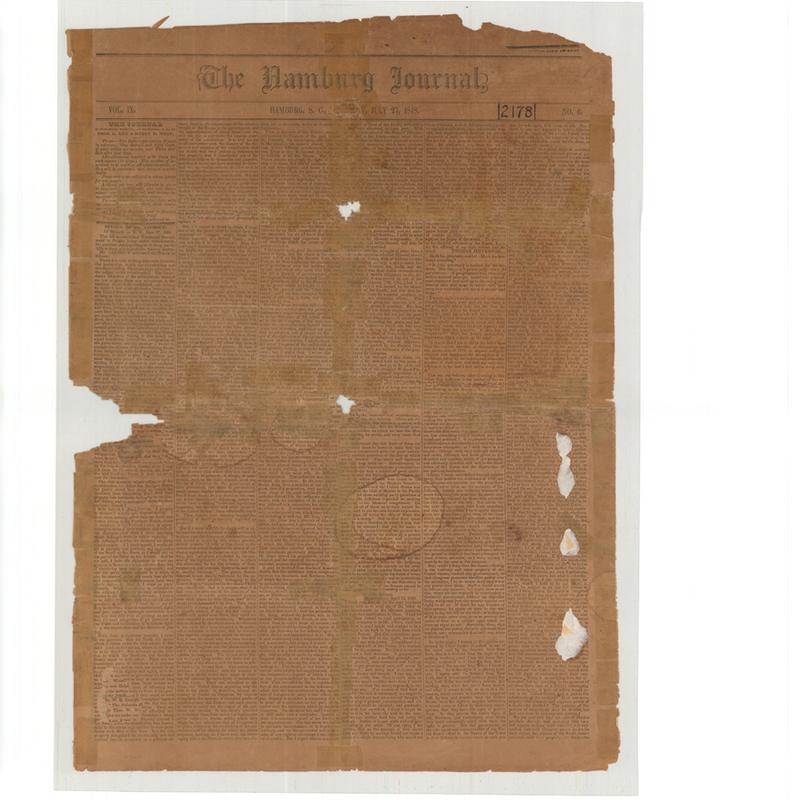 Newspapers are especially important for museum digitization because of the nature of the material it is made of. Newspaper is very acidic and will deteriorate over time despite all of the best care and preservation. The large size scanner provides us opportunities to save these documents before they disappear forever. Photographic Negatives also come with special issues. Older negatives deteriorate quicker than photographic prints and should be stored separately in acid free paper sleeves. A special scanner is required to scan photographic negatives because they require light coming from two sides to make a positive image. The Augusta Museum of History uses an Epson V700 flatbed scanner which will scan any size negative or slide up to an 8x10. 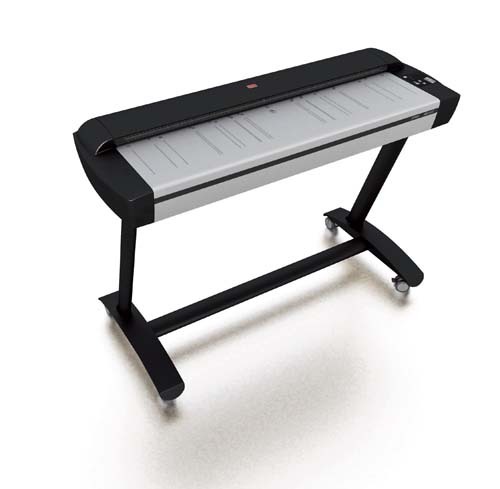 The scanner will automatically flip the black and white or color image into a positive digitally on the computer and it will be ready for printing. The final step after scanning your fragile materials and placing them in a safe acid free storage area is to share them. Digital images can be shared via the internet with friends and family or can be printed on a home printer or at a local photo center. The Augusta Museum of History is preparing an online database for our collections to better share them with the community. We have thousands of negatives, photographs, newspapers, maps and fragile documents prepared to be scanned and uploaded on line for education and research. Be sure to check our website at www.augustamuseum.org for updates.